Tunupa was one of the oldest Andean gods, frequently sent by Viracocha (also called Pachacamac) on missions to the Earth. 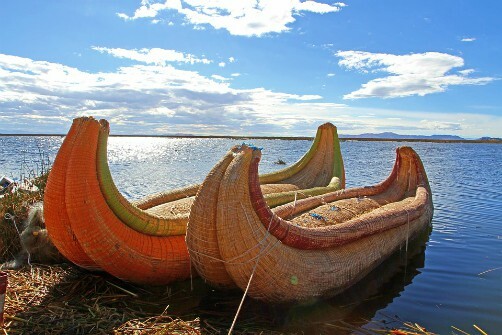 In one of these missions, he came to the city of Tiwanaku, near Lake Titicaca, where he was enthusiastically preaching to the local people, who paid no attention but instead got angry with his preaching, and tied Tunupa to a pole, put him in a reed boat and send him deep into the lake to die. The hard rocks on the southern bank opened miraculously, and a thin river was formed, taking the boat to a little lagoon, which later became Lake Poopo, where Tunupa disappeared never to be seen again. Some say he buried himself in one of the many mountains of Pampa Aullagas, where rich mines still exist. The river that links both lakes is called Desaguadero. Today Desaguadero is the name of a fairly large town near Lake Titicaca along the Desaguadero River, near the border between Bolivia and Peru. Pampa Aullagas is also believed by some scientists to be the site of the lost city of Atlantis, but that’s another myth for another day.